A bit of fleece from two different projects. 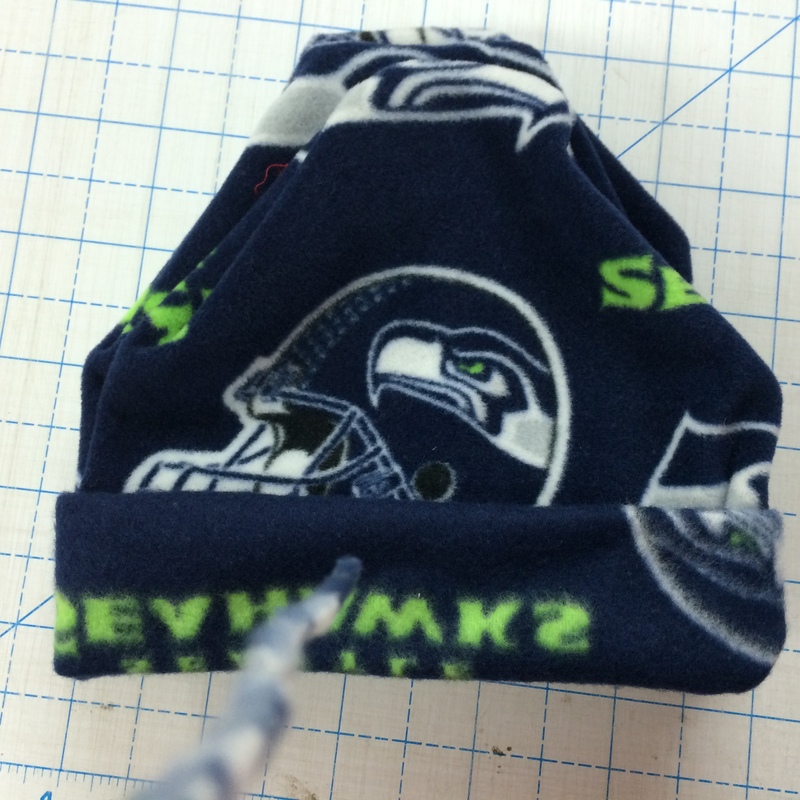 The Seahawk fabric was about a third of a yard and I was able to get 3 hats. 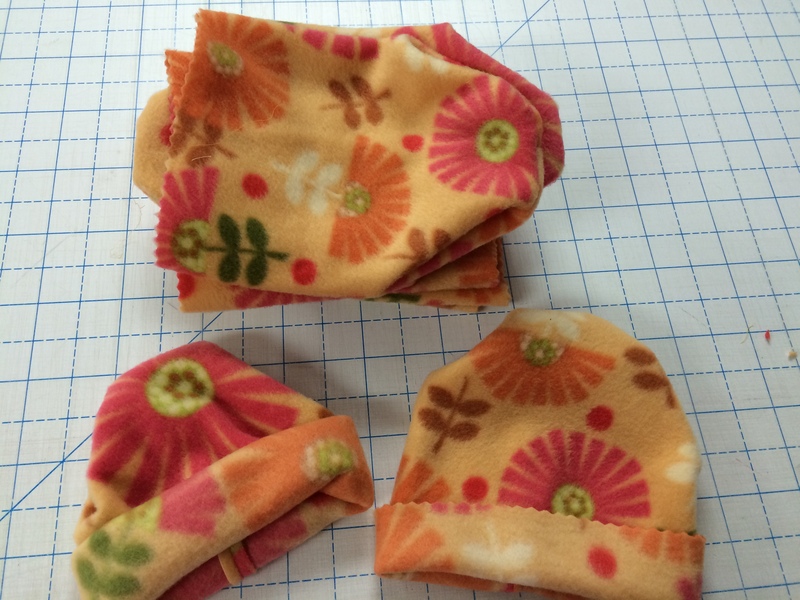 The orange fabric was left over from a blanket backing and I was able to get 10 baby hats out of that 1/2 yard plus.